Archaeology: Where is it going? The past, of course, is kind of our thing. “Learning about our past will guide our future” – or other such anecdotes, are the bread and butter of any discussion between an archaeologist and an inquisitive member of the public. Yes, this is true and it’s what archaeology is all about. It’s the passionate plea to learn about the world our ancestors lived in instead of dawning too much on the scary and ever changing present. Let’s be honest, every time we turn on the news or, heaven-for-bid, accidentally witness the homepage of the Daily Mail website, with its too-fat-too-thin celebrity updates, we are hardly inspired by thoughts of the future. It’s all too understandable why we inadvertently reminisce about a past life we never lived or engross ourselves in a material culture and that we will never full understand. And it’s such a drive to immerse ourselves in the past that has made archaeology so damn popular, why thousands of people donate their weekends to walking up and down muddy fields and why millions of us are now terrified what we will soon have to watch ‘I’m a Celebrity Pop Idol’ on a Sunday night instead of letting Phil Harding show us his unique X-Factor. But wait. Change happens. Whether we like it or not it’s happens, and as our profession more than any tells us, its how we adapt to change that matters more than anything. Again, referring back to one of our pitches to Joe Public, we study archaeology because it teaches us about change, how to adapt to change and how to potentially learn from the mistakes that changes can cause. The problem is however, as the archaeological profession stands on a knife edge now more than ever, are those who will carry the torch for us muddy kneed and broken finger nailed enthusiasts in the future, really practicing as we all like to preach? By ‘those’ I mean the young men and women currently being fast tracked though our university system who will undoubtedly form the core of Project Officers and Heritage Consultants of tomorrow. Look at any job advert within archaeology, from field staff to Project Managers, and a degree is nearly always listed as a necessity; therefore I believe that making such an assumption is justifiably valid. So, if the current undergraduate generation will be making the major decisions on our past in the future, are they really being prepared, or preparing themselves, for such responsibility? Time Team – Source: WikiCommons. I must refer to an article in the ‘Times Higher Education’ by Marilyn Palmer, current Emeritus Professor of Industrial Archaeology at the University of Leicester, and previous head of the department. She correctly highlights the lack of current fieldwork being taught by universities and that current degrees are “not relevant to the needs of the archaeological profession” and that most students graduate to work in unrelated sectors. I must wholeheartedly agree with such an assessment. 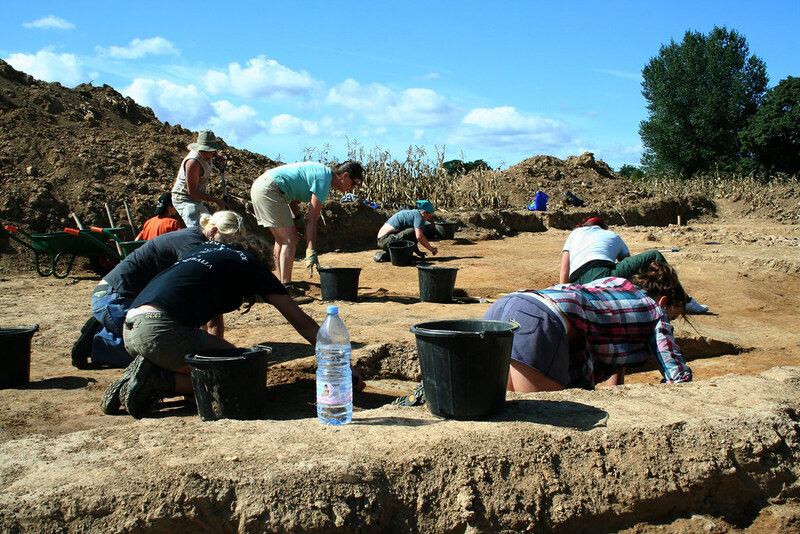 Undertaking an undergraduate degree in archaeology is one of the most rewarding and enjoyable things you can do and you will never stop re-telling the stories of you first department led field school. However, a degree is an academic award not a vocational qualification and therefore should we really be surprised that they no longer adequately equip students with the skills required to work in the field? Realistically, no we shouldn’t. University departments are judged by league tables and academic marks, not how well someone can dig a feature and draw a section. As a result, when we think about it, universities are fulfilling their side of the barging by teaching what they sell: and academic qualification. For this reason they should not be held responsible for the ‘under qualification’ of current undergraduates. And for this reason they should not be held to blame for the minimal amount of students who actually go on to work in archaeology once they have graduated. This responsibility lies with one person: the students themselves. We all know that there are far more students taking archaeology degrees than there are jobs available. Therefore, the fact that so few actually go on to peruse careers in archaeology is perhaps not such a bad thing. However it is those who do that we should be worried about. Yes, their university education will teach them how to learn, manipulate and regurgitate vast amounts of information and opinions in order to gain that elusive first. The question is how do they go about gaining the skills and experience that will actually get them a job? 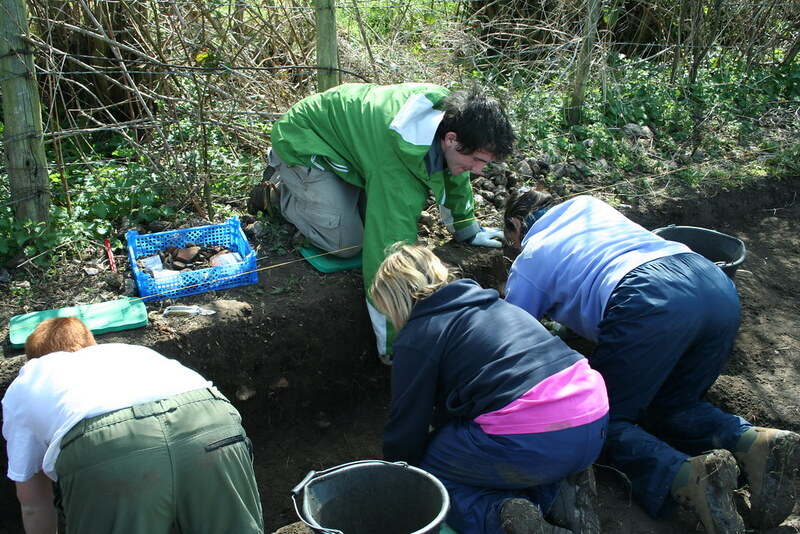 And when they get one, are they really in touch with archaeology today: the people involved, the reasons to dig or not to dig and the various ways in which people get involved with archaeology, be it on a amateur or professional level? Without properly understanding these issues it is worrying to think whether the decision makers of tomorrow will indeed make the right decisions concerning the protection of our profession in the future and the protection of our heritage in the past. Number one, your university will always be able to provide more fieldwork or lab based opportunities for you than they initially advertise. But wait, “I’m a poor student with so much work to do” I hear you say. Ok, that just does not cut. In total, university terms dates take in around seven months of the year, leaving five in which to work and gain this much needed experience. And in reality, even during the term time an undergraduate archaeology degree is hardly the most time consuming of tasks, no matter how much you try to persuade your parents it is. So, take some initiative and ask your favourite lecturer about any potential opportunities and I guarantee that they will be thrilled at your enthusiasm. Number two, Britain, more than and country in the world, is jam packed with wonderfully run and immensely enjoyable local amateur fieldwork groups who are absolutely desperate to involve more students. Most of these groups cost very little to join, provide a good level of training and can be found in nearly every region of every county in the country. So, find one, join one and learn from those involved. You will not regret it, as much for the numerous cups of tea and light hearted debates as for the fieldwork skills you will develop. You will also learn how wonderfully diverse the archaeological community can be; not just fellow students with marks in mind. Number three, attend conferences and events. I recently attended such an event that was full of a diverse array of exhibitors and experts, from metal detectors and field walkers to aerial photographers and creative writers. However – and this was supported by the general demographic attending the event – each of these groups highlighted a lack of student involvement as a major issue which threatened not only their future existence but also the successful future of archaeology itself. This is sad. Attending such events is a prime opportunity to network, get your name out there to those who matter and get involved with any number of amateur and professional organisations who can help add that extra string to your archaeological repertoire. There is no recipe for success in archaeology, just an adequate desire and, more importantly, the right attitude. The current undergraduate generation – actually, most younger members of society – are being raised in a society that conditions us to accept short term gain and demand answers placed into out laps on a golden platter. As a result, the archaeologists of tomorrow are becoming increasingly short sighted in their actions today. Yes, gaining employment and becoming successful in archaeology will always be an uphill task. But I ask what is wrong with that? Those who reach these goals will have earned it and along the way will hopefully have encountered a multitude of different ways in which archaeology can shape the lives of others as well as learning relevant skills themselves. Thus, whereas our passion for the past drives what we do, we must look to those in the present and future in order to determine how we do it; it is what we do in the here and now that determines how our past and future will be perceived.